Sapa Vietnam is one of the most wonderful places for tours and holidays in Vietnam. 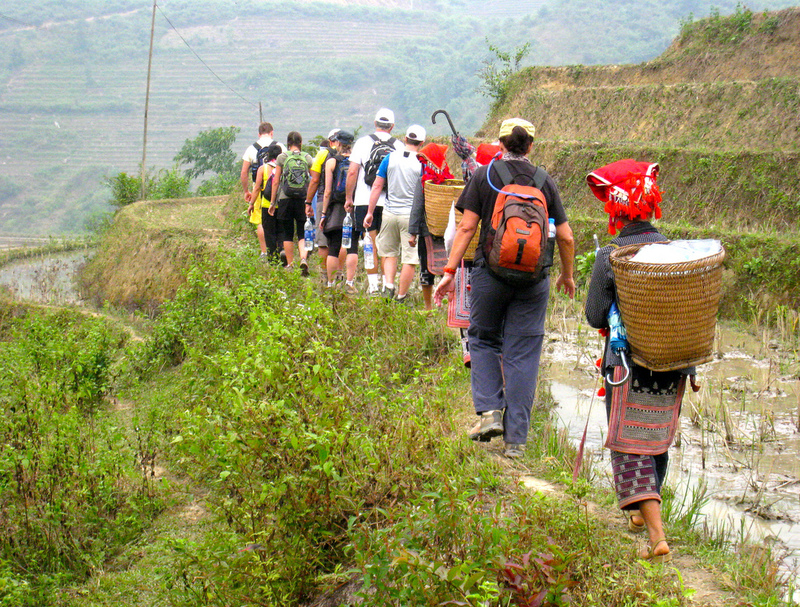 Sapa trekking tours are comprise from 1 to 9 days of trekking to villages in Sapa. 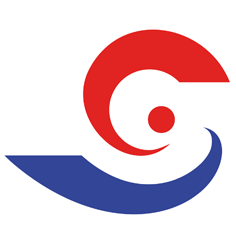 Trekking tours in Sapa offer great choice from easy to adventure or mountain climbing in Sapa. If you are looking for an adventure trekking holiday in Vietnam, Sapa is definitely a great choice for you. 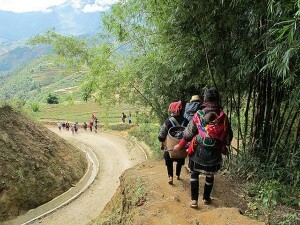 Recommended for you: Best Sapa Trekking Tours From Hanoi. Sapa trekking tours in Vietnam. Sapa has been well-known as a great destination for trekking tours.Sapa is located in a height of 1.500 meters compared to sea level. Sapa is a quiet town and it is the home of five different ethnic groups: H’mong, Red Dao, Xa Pho, Tay and Giay. Sapa owns great and wonderful mountain range called Hoang Lien Son which consists of Fanxipan Mountain, at the height of 3,143 meters, the highest one in Indochina. Travellers come to Sapa have wide ranges of choices for their trekking tours from 1 day to 9 days. With its stunning mountains, villages and beautiful Valley which is called Muong Hoa, Sapa provides some thing for everyone. Trekking tours in Sapa for leisure travellers. For those who like leisure holidays can choose easy trekking tours to villages of minority people living around Sapa Town. 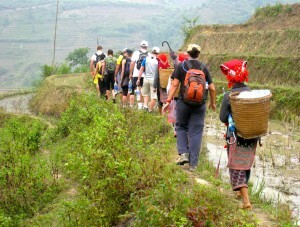 For short and easy sapa trekking tours, travelers can choose the walk to Cat Cat, Ta Van, Y linh Ho or Hau Thao villages. The short trekking tours in Sapa offer travelers wonderful walk through beautiful mountains, following small trails or buffalo paths to visit villages and experience real daily life of minority people in Sapa. Sapa is also famous for trekking tours which will alow people to stay overnight in home stay with local family in the villages. The home Stay tours in Sapa offers travelers great choice from two to 4 or 5 days of trekking to most of villages in Sapa. With those longer sapa trekking tours, travelers will explore the most beautiful places in Sapa with stunning and picturesque of rice terraces, hill tribe villages. Travellers will also have time to explore and get closer to real local life. The home stay tours in Sapa often allow travelers to stay in a local family, enjoy peaceful atmosphere and beautiful countryside in Sapa. Sapa is also famous for adventure trekking tours. Travellers also can choose to enjoy their adventure holiday in Sapa from 3 to 6 or even 9 trekking days. These trekking tours take travelers to the most remote villages and places which are less affected by tourism. 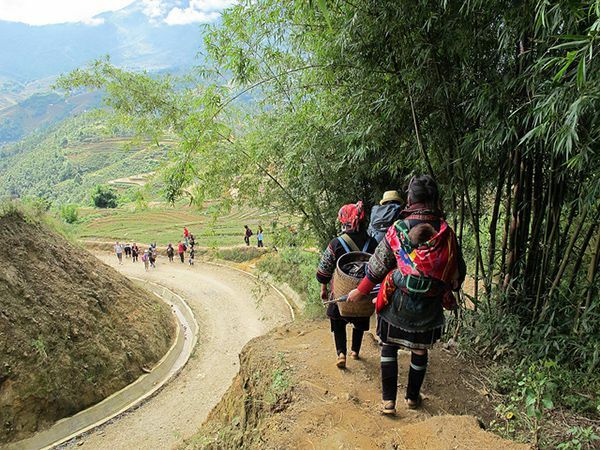 These Sapa trekking tours will allow travelers explore amazing views and villages of Red Dao or H’mong people. Travelers will have more chance to explore amazing landscapes of rice terraces, waterfalls and mountains in Sapa. Sapa Trekking Tours for mountainerring. For travelers who love mountainerring, Sapa is a great destination while travelling to Vietnam. Fanxipan Mountain in Sapa is a great challenge for mountain and adventure lovers.